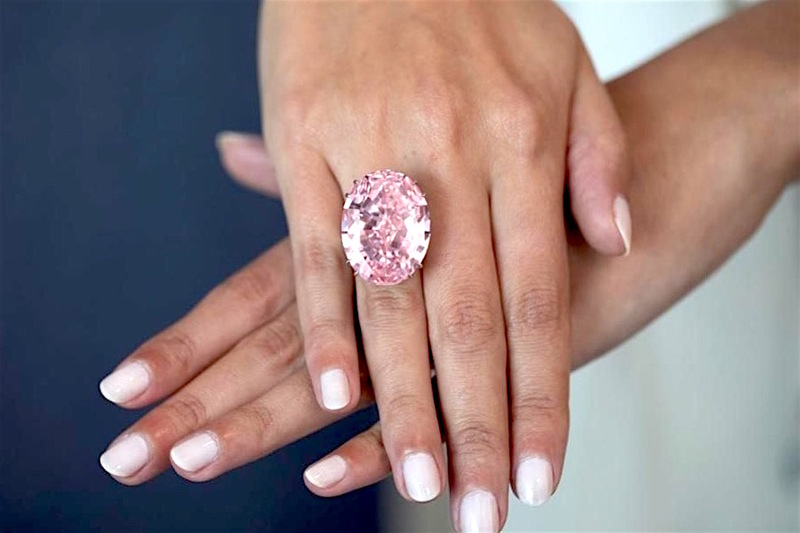 The largest, most perfect pink diamond to have ever been offered at auction has sold for $71.2 million at a Sotheby's event Tuesday in Hong Kong, setting a new world record for any diamond or jewel, according to the auction house. Described as one of "the earth's greatest natural treasures", the oval-cut 59.6-carat “Pink Star” is the largest internally flawless pink diamond that the Gemological Institute of America (GIA) has ever graded. Until now, the most expensive diamond ever sold at auction was the "Oppenheimer Blue," which fetched 56.8 million Swiss francs (more than $57 million at the time) last May. 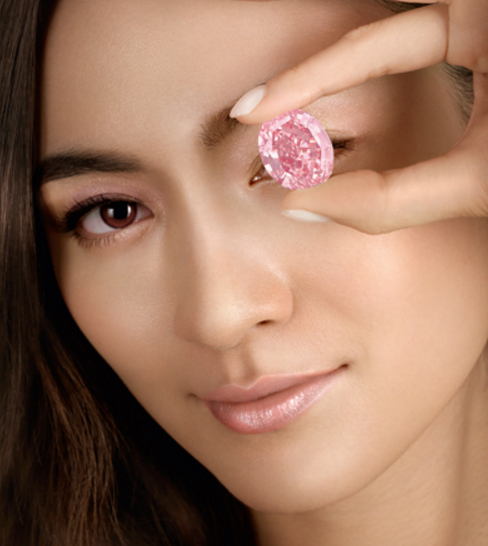 The previous world auction record for a pink diamond was $46.2 million for the 24.78 carat "Graff Pink" in 2010. First unveiled to the public in 2003, the Pink Star was called the “Steinmetz Pink,” but it was renamed after it was first sold for an undisclosed sum in 2007. In 2013, the diamond broke a new world record price for a gemstone at auction by fetching $83.2 million in Geneva, way above the $60 million experts had predicted. Not long after the sale, however, rumours began to spread that the consortium of buyers, led by diamond cutter Isaac Wolf, defaulted on the deal. In February 2014, Sotheby’s confirmed those unofficial reports and said the diamond was again part of its inventory, valued at approximately $72 million.